British Podcast that you probably are not ready for! Hosted by two creatives with lots to say. Join Myles, and Cashmere with their own segments 'Myles Measures' and 'YAS with Cash'. Enjoy other segments such as 'Melanin Magnificence' that celebrates and provides a platform to Black achievers, entrepreneurs and Black Excellence. 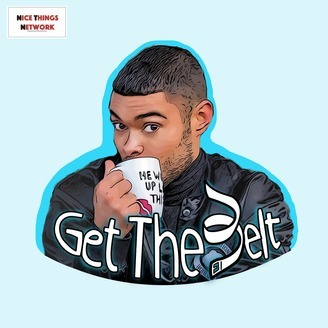 'Word of The Week' that focuses on self help and improvement and the self titled 'Get The Belt' where they give a good tongue lashing cussing out someone or something during the week who stepped way out of line and tried it! They also have a question section listeners email the show with questions of their (often messy) choice! 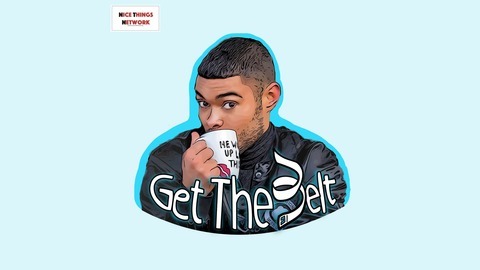 This show is a platform for BAME creatives and entrepreneurs that aims to uplift, entertain, educate and inspire the community by delivering a weekly dose of unapologetically raw, black, unfiltered and relatable entertainment. Saying that if listening at your workplace... USE HEADPHONES! We are joined by James Barber writer and creator of new web series Flatshare & Shaun Cowlishaw, actor who plays the main character Omar. Flatshare is a new comedy-drama series Brought to life by the award-winning director, Grant Taylor. It’s an LGBT series that follows the trials and tribulations of four house mates living in Peckham. Flatshare boldly takes on taboo themes like the devastating impact chemsex is having on the lives of gay men, the sexual fetishism experienced by queer people of colour, the conflict created by white middle-class people moving in urban areas, and how unregulated landlords are contributing to London’s housing crisis. available to watch on youtube now! link below! Find out who their Melanin Magnificence goes to and stay tuned until the end to find out who Gets The Belt! If you like what you heard please subscribe, follow, like, share and leave a review on iTunes! Follow us on our social media to stay up to date and PLEASE send us questions and tell us if you have any Melanin Magnificence suggestions or even who you think should Get The Belt!